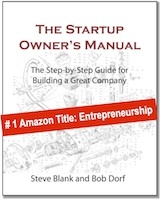 Steve Blank Getting out of the building…by staying in the building! Getting out of the building…by staying in the building! The landscape for how to turn life science and health care technologies into viable companies has changed more in the last 3 years than in the last 30. New approaches to translational medicine have emerged. 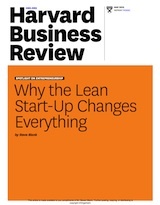 Our Lean Launchpad® for Life Sciences is one of them. But a new class of life science/healthcare co-working and collaboration space is another. 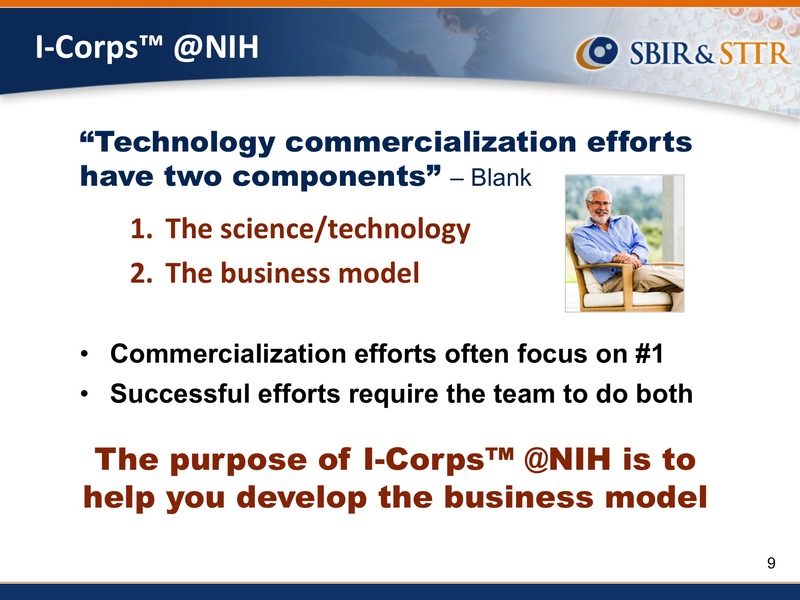 The National Institutes of Health recognizes that Life Science/Health Care commercialization has two components: the science/technology, and the business model. 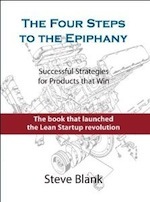 The Lean Launchpad® for Life Sciences (the I-Corps @ NIH) uses the Lean Startup Model to discover and validate the business model. This user/customer-centered approach is a huge step in the right direction in the life science/health care commercialization. However, one of the bottlenecks in actually doing Customer Discovery for medical devices/health care is testing how minimal viable products work in-context. Testing hypotheses with doctors, patients, payers, providers, purchasing departments, strategic partners is hard. It can involve traveling hundreds of miles and can consume months of time and loads of money. Scheduling time to look over a surgeon’s shoulder in an operating room is tough. Getting time to brainstorm with payers or experts in clinical trials is hard. It would be great if there were a way to first test these hypotheses and minimal viable products in a realistic setting locally. Then after a first pass of validation, take them on the road and see if others agree. It looks like someone is actually pulling this together in a life science/healthcare co-working and collaboration space in Chicago called MATTER. Co-working spaces seem to be evolving into the startup garages of the future. It’s a shared work environment (typically a floor of a building) where individuals (or small teams) rent space and work around other people but independently. Yet they share values and hopefully some synergy around topics of mutual interest (same customers, or technologies). Incubators are designed for teams with an idea. They add mentors and additional services and some offer free space in exchange for equity. Accelerators take teams with fairly focused ideas and offer a formal 3-4 month program of tutoring/mentoring with seed funding in exchange for equity. Key stakeholders in the broader healthcare ecosystem will be co-located under one roof: entrepreneurs, universities, established companies and strategic partners, providers, payers, hospitals, service providers, associations, advocacy groups, government and more. It will have a simulated procedure space that can be configured as an Operating Room, Emergency Room, Intensive Care Unit and other clinical/procedural settings. The space will include authentic lighting, equipment and other features that very closely resemble the look, sound and feel of these environments in the “real world”. It will have a clinician and patient studio configurable as a doctor’s office or a home care setting to simulate clinician and patient interactions. It will serve as a test bed for software, services and other technologies to improve the clinician/patient dynamic as well as improving workflows in the clinic. It will have a fabrication space where device startups can build minimum viable products and iterate on their designs while in the facility. By building a co-working space that includes all of these stakeholders, MATTER allows startups (and companies) to get in front of customers and other members of the value chain first, before they leave the building. The team at MATTER also realizes that facilities alone will not do the trick. In order to get the healthcare community to collaborate with each other to bring new ideas to market they will need some help to catalyze the “co” part of co-working. The procedure space and clinician and patient studio allow startups to test and demo medical devices, diagnostics, software and other technologies, with real clinicians, to validate hypotheses, their technologies, and discover the “unknown unknowns” that they wouldn’t learn until the product was used in a real clinical setting (meaning: after years of development and regulatory clearances). But the real benefit for a Lean Startup is that unlike a traditional OR/ER, technologies/devices used in these spaces can be minimum viable products. They can be crude, non-sterile prototypes tested at any phase of their development (from sketch to machined parts), to answer any number of important questions that innovators might have about how, when, why and by whom a technology is used. MATTER is funded and supported by a broad range of private sector partners including established companies, providers, payers, service providers and others; as well as public sector support from the State of Illinois and the City of Chicago. “This has been nearly a 4-year journey,” said Schonthal who prior to moving back to Chicago in 2011 had been working in healthcare venture capital in San Diego. “One of the noticeable things about the San Diego health tech community is that it feels like a community. It has density,” he said. “People bump into each other, seek each other’s advice, make connections and collaborate on projects. In Chicago, despite having a lot of talent, companies and great research, we are a big, spread-out city. As a result we needed to design some of that density inside of MATTER so that serendipity can occur”. Schonthal found that others in Chicago saw the vision. He enlisted the help of serial medical device entrepreneur Andrew Cittadine, biotech startup veteran Jeffery Aronin and Patrick Flavin and Steve Collens who was a major force behind the development of 1871 – Chicago’s digital co-working space. Together they recruited the support of the city, state and private industry who all agreed that frequent and early community collaboration to support young companies would be key to Chicago’s future in healthcare entrepreneurship. MATTER is one of many organizations supporting life science/healthcare entrepreneurship across the country. In New York there’s Blueprint Health and Startup Health, in Denver there’s Stride and Princeton has Tiger Labs. Other incubators and accelerators in the health tech space include Health WildCatters in Dallas, RockHealth in Silicon Valley, Iron Yard in North Carolina, HealthBox Accelerator, Athena Health MDP in Boston and others. And probably the most important will be the Lean LaunchPad @ Life Science Angels class for early stage life science companies. Each of these has their own approach to supporting the creation of new ventures – but all are working to help young startups solve big problems. Probably for EDUCATION there is a similar process. The Society for International Bioentrepreneurship Education and Research (SIBER) linkedin group was organized to connect those that offer bioinnovation and entrepreneurship education and training skills to graduate students, incorporating many of the concepts introduced by Steve Blank, In addition, several of us are participating in programs funded, in part, by the NIH BEST (Broadening Experience in Scientific Training)Grant program. The MATTER team has invited a handful of pro-entrepreneurship communities into their space: iBio/ Propel, Chicago Innovation Mentors and Chicago’s Health 2.0 chapter will all be calling it home. When we look back at MATTER’s first year, I believe that including these ingredients will have played a big part in its success. Cheers! Timing of this is perfect for me to send to HC trainee faculty! *From:* Steve Blank [mailto:comment-reply@wordpress.com] *Sent:* Tuesday, December 30, 2014 6:02 AM *To:* engel@haas.berkeley.edu *Subject:* [New post] Getting out of the building…by staying in the building! Thank You Steve for all the Great Inspirations. I wish you a Happy New Year. Foremost best of Health.